Last year I read all three books in the trilogy by author Tony Riches about the Tudor dynasty. 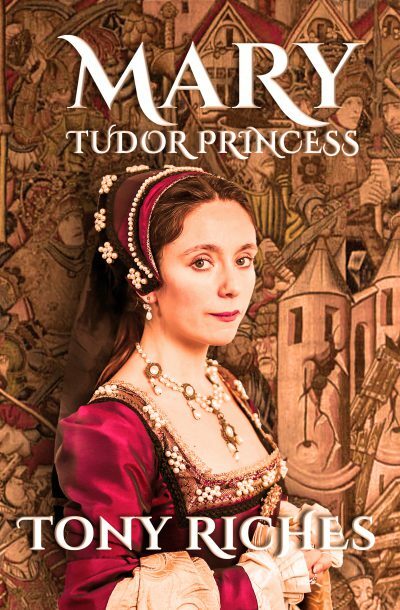 Book One was about a Owen Tudor, second husband of Catherine of Valois and stepfather to King Henry VI. Book Two was about Jasper Tudor, half-brother of King Henry VI and uncle of the future Henry VII. The final book, Book Three was about Henry Tudor and his struggle to become King of England. 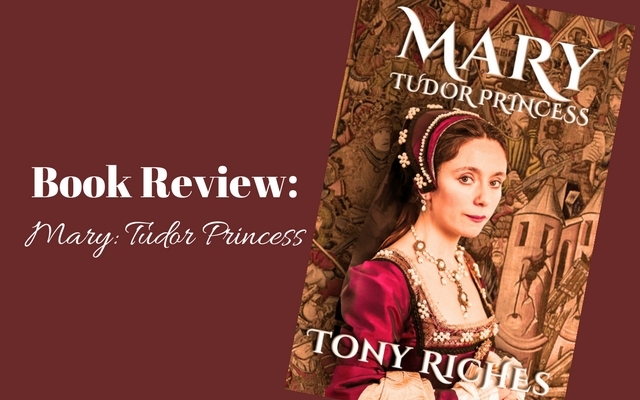 After finishing the trilogy on the Tudor dynasty Riches decided to try his hand at Mary Tudor, Queen of France and sister to King Henry VIII. The love story of Mary and Charles Brandon has always intrigued me. A man whose family had been mostly servants and who was raised to Duke of Suffolk married the sister of the King in a secret ceremony in France. This unauthorized act would by a subject of Henry would usually end with the participants locked in the Tower of London, or worse yet, executed. Luckily for Mary and Charles they were both favorites of Henry and he merely fined them. When the couple were finally allowed to return to England, Henry VIII insisted that they have a public ceremony at Greenwich Palace. He did not wish for his favorite sister’s future children to be declared illegitimate – they would be, after all, in the line of succession. This story is wonderfully told by Riches as the life of an English princess who only wished to do what was right. Mary was loyal to those close to her, none more than to Katherine of Aragon during the King’s Great Matter. Mary despised her former maid of honor, Anne Boleyn and wanted nothing more than to see her good friend regain her position. Unfortunately for Mary her life wasn’t always rainbows and butterflies. She lost a son after a freak accident and then she herself became extremely ill and would be unable to see her daughters Frances and ELeanor give her grandchildren. If you love to read about the women of the Tudor dynasty I highly recommend you buy this book. I thoroughly enjoyed it and cannot wait for the author’s next book about Charles Brandon. If you’d like to pick up a copy of the book it is available on Amazon. re:Unfortunately for Mary her life wasn’t always rainbows and butterflies. She lost a son after a freak accident and then she herself became extremely ill and would be unable to see her daughters Frances and ELeanor give her grandchildren. I cant seem to find anything on the death of her son any links ? ?